First, click on the gear icon in the top right corner, and select Internet options at the bottom. 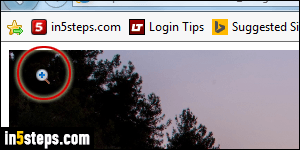 If you are showing Internet Explorer's classic menus, you can click on the Tools menu (the gear icon pretty much mirrors what it contains). 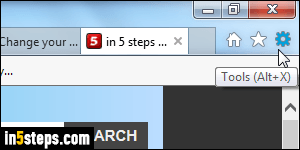 When the Options dialog opens, select the Advanced tab at the top. 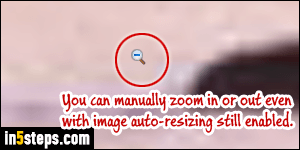 Bonus Tip: once image auto-resizing has been turned off, you can still see the entire picture by zooming out. 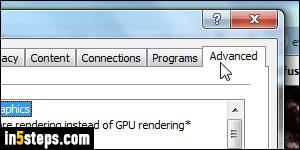 The fastest way to do that? Hold down the Ctrl key on your keyboard and scroll your mouse wheel down (or use two-finger-scroll on your laptop's trackpad). 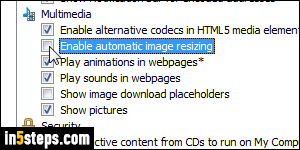 Hit Ctrl+0 (zero) to reset to the normal zoom level: learn more about zooming in / zooming out in Internet Explorer.